Therese Comodini Cachia is a lawyer by profession working in the field of human rights. She has been representing victims of human rights violations since 1997 through court proceedings both before the Maltese courts as well as before the European Court of Human Rights. She has also been heavily involved in non-governmental organisations having acted as their legal advisor. Her work with non-governmental organisations has kept her abreast with the perceptions held by and the social needs of different groups in society. She believes in respect for the dignity of each individual. She is a lecturer at the Faculty of Laws of the University of Malta and coordinates the Masters degree in Human Rights and Democratisation. She also lectured at the University of Utrecht, in Holland and at the Europa-Viadrina University in Germany. 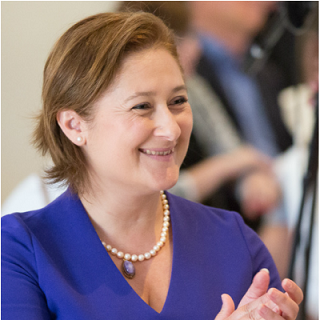 In May 2014 Comodini Cachia was elected Member of the European Parliament. She is a member of the Culture, Education, Youth Policy, Media and Sport Committee (CULT), the Legal Affairs Committee (JURI) and also serves on the Subcommittee on Human Rights (DROI). She is also a member of the delegation for relations with the Palestinian Legislative Council, that to the Parliamentary Assembly of the Union for the Mediterranean and the Delegation for relations with the People’s Republic of China. She has worked on Digital Single Market related files such as that of geo-blocking, cultural and creative industries as well as on the implementation of Infosoc. She is currently rapporteur for the Copyright Directive report in Committee on Legal Affairs. Comodini Cachia has actively participated in the Partit Nazzjonalista and was a member of the Commission for the revision of the Statute and Party Structures. She is also seen as a point of reference for the Parliamentary Group having contributed to a number of positions including amendments to the Constitution of Malta. Currently she coordinates the Policy Fora of the Nationalist Party. In January 2015 she was appointed shadow Minister for Education and Employment.